This week has been just awful. I am not even sure if I too a picture everyday. I will find out when I take a look. This week has been full of tears and heartache. Please bear with me as I try and tell you about our week. Monday started off by needing coffee. Due to the worry about my Nanna sleep has been suffering. On Monday I had the heartbreaking job of saying my goodbyes. When I arrived at the hospital my Nanna was sleeping, she slept all the time that I was there, until I left. I gave her a kiss and whispered in her ear "Good night Nanna, I love you, sleep well" and she opened her eyes, looked at me, and said "I love you too". That was the last time I saw and spoke to my Nanna. I feel a peace in my heart that we said our goodbyes. While waiting for any news I kept myself busy by cooking and blogging. I kept myself so busy as I was sat at home waiting for news. 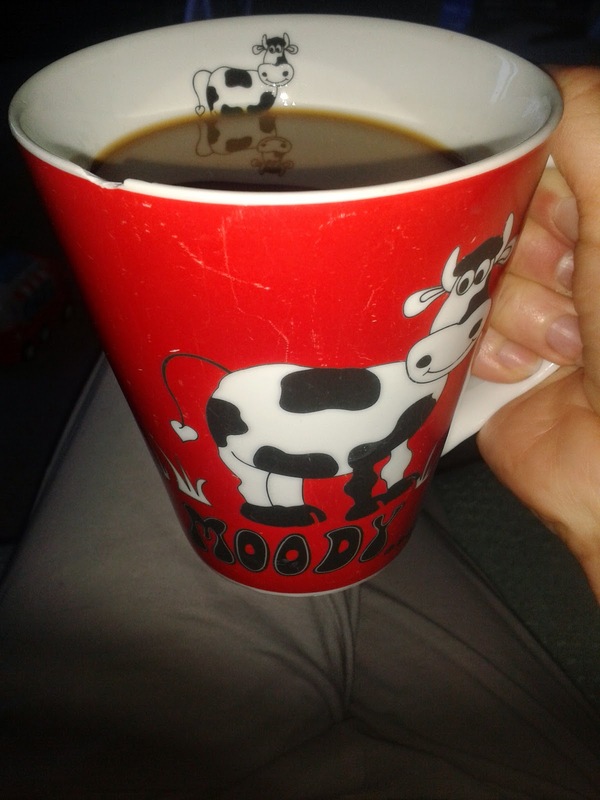 Hubby came home early from work and as soon as I saw him stood in the kitchen after we had done the school run I knew he was waiting to tell me that we had lost my Nanna, I just knew. On Wednesday hubby had the day off. On Wednesday I felt nothing but emptiness. We kept busy by taking the car to the garage, walking around shops, taking the children for a play and just keeping going. I did walk around in a bit of a haze, I was there but I wasn't. My mind was elsewhere. 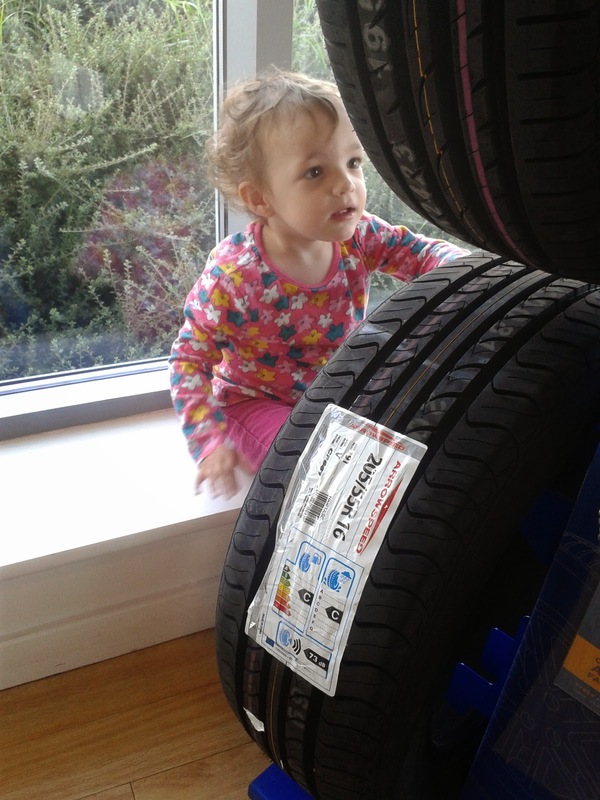 One thing that did make me smile was watching the twins playing with the tyres. 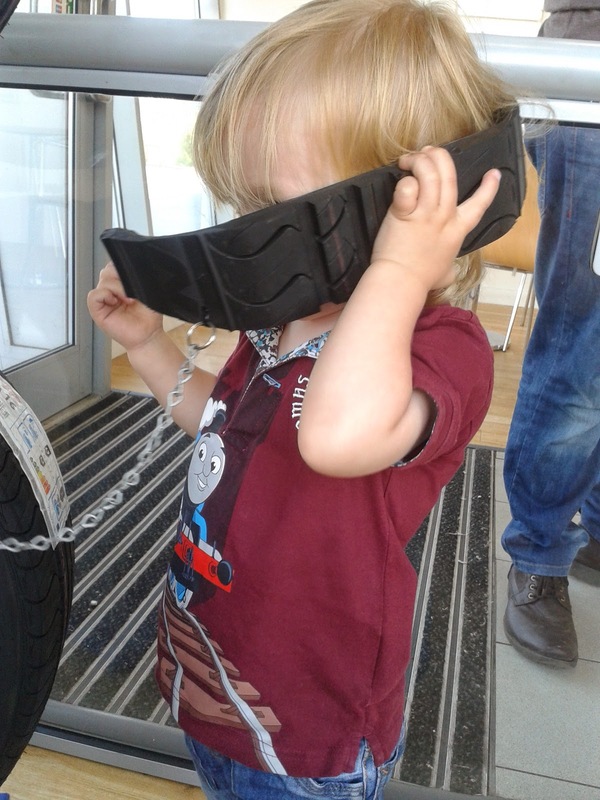 Taylor found a piece of tyre that became a telephone. Thursday I set myself the task of doing something that I enjoy. That something had to be baking. I have not baked in about a week which is not like me. So I baked this delicious Passion Fruit Cake which I will be writing about next week. I am starting to look after myself a bit more. 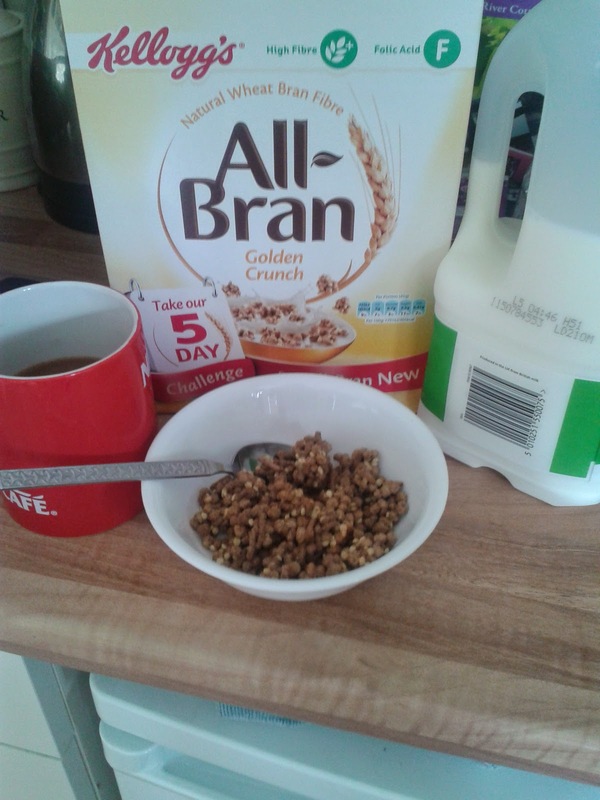 I am normally a breakfast skipper but after receiving some All Bran to try I have a reason to start eating better. This is my first step to looking after me as well as everyone else and getting better. I am now making the most of the bit of me time that I get on a Saturday morning while Joseph swims as he is going to stop after his sessions have finished. This was the only photo that I took yesterday. Saturday broke me. We went to my Nanna and Grandads house. I thought that I had cried, but during this visit I broke down, seeing their house without them broke my heart. My dad has said that it does get easier after the first visit. I spent so much of my life in that bungalow with my grandparents, I have so many happy memories from my time there, my memories will always be there but the house feels so empty. Even though it is still full of furniture it doesn't feel like a home full of love, it is purely a house, bricks and mortar. It was them that made it feel full of love and they are not there. I still can't believe that I will not see them again. Thank you for bearing with me and I am sorry that this is not a happy post. I can feel me coming back so I am hoping next week will be better. I am so sorry about your Nanna. Much love. very very sorry to hear of your loss and your sad sad week. ((((hugs)))) to you all. I got the Kelloggs cereals as well, not tried the golden crunch yet but the other two are nice. That cake looks delicious, I like to bake when I am depressed as well. I'm so sorry to hear about your Nanna :( Lots of hugs. Oh sweetheart I am so sorry for your loss, I'm having a little cry writing this as I remember the emptiness of losing my nana and that was 20 years ago. It does become easier to bear, and the happy memories come through. Big hug to you. oh Kirsty i have a lump in my throat now i send you (hugs) because this reminds me so much of my Na (grandad) passing 18 months ago now, as i managed to see him hours before he died and i am so thankful for that.